Nokia Normandy: The World’s Fist Android-Powered Nokia Handset? Rumors continue to swirl, despite Microsoft’s pending takeover of Nokia. Chances are that when you think about a Windows Phone-powered smartphone, you’re thinking about a Nokia Lumia device. The Lumia line-up has been the most successful WP brand, and the collaboration between the Finnish manufacturer and Microsoft has been quite lucrative for both companies. Several months ago, Microsoft purchased Nokia’s device and service business (the transaction will be completed sometime during the first quarter of 2014). Evidently, the Lumia brand will soon belong to Microsoft. Overall, Windows Phone enthusiasts might have had plenty of reasons to celebrate this union between the two companies. However, Android enthusiasts have been disappointed. The reason for this is because there was always a spark of hope in the heart of every Nokia and Android enthusiast, that one day the Finnish manufacturer could release an Android-powered smartphone. This prospect seemed out of the question once Microsoft’s offer for Nokia’s device branch was accepted. Shortly after the deal went public, rumors started surfacing, indicating that at one point in the past, the Finnish company was indeed planning on launching an Android-powered smartphone. However, while the earliest reports revealed that the phone in question had been canceled, newer reports have suggested that there could still be hope for an Android-powered Nokia handset. Several weeks ago, famous industry insider @evleaks posted a render of a mysterious Nokia device that appears to bear the codename “Normandy.” In terms of design, it looked very similar to what you’d normally see in the Lumia or Asha line-up, but it remains unclear which branch this device will be part of. Surprisingly enough, newer reports have suggested that the Normandy will actually be an Android-powered smartphone. This idea sounded a bit daft given Microsoft’s recent involvement in Nokia’s smartphone development, but the thing that made the Normandy look like a real handset was the idea that it would not benefit from Google Play services. According to the rumors, the Normandy would run on a “forked” Android-based operating system that is not aligned with Google’s usual Android platform. More so, since the deal between Microsoft and Nokia is not yet completely finalized, rumors were suggesting that Nokia might try to push this smartphone on the market before the Redmond giant seals the deal. This leak has generated a mixed bag of reactions. Some people have been very enthusiastic about this news, and fans of the brand have also created beautiful renders of the Normandy, in multiple colors. On the other hand, certain Android fans have noticed that the device in question may lack a camera flash, and judging by the rather bulky design, the Normandy seemed to be an entry-level device. Add to that the idea that Google Play services would not be available, and you get a pretty underwhelming reaction from Nokia and Android fans who were expecting a top-tier device. But, something is still better than nothing, and the news kept getting better, especially given the idea that the device would be ready for a 2014 release. Rumors kept indicating that the Normandy is indeed a budget-friendly handset that could target emerging markets, and that it will indeed bear the Asha moniker. In a nutshell, the device seems like more and more of a possibility, given the fact that it would not be associated with the Lumia line whatsoever. While the idea of an Android-powered Nokia Asha smartphone has been generally well received by most gadget enthusiasts, the bad news is that the most recent rumors have once again strengthened the idea that Nokia and Android will never be united. “C Technology” –one of the main sources of information on the Android-powered Asha – has recently provided more news concerning the matter. Unfortunately, this time around it seems that the rumors are not as positive. According to these reports, Nokia has indeed worked on developing the aforementioned Normandy, and the project was led by Nokia’s Peter Skillman – head of UX design. Sadly, these fresh reports also suggest that Nokia has decided to shelve the Nokia-Android project. Word is that the Nokia Normandy has not been put aside by Microsoft’s decision, but by Nokia itself. Allegedly, the device doesn’t seem feasible enough for the company. However, in return, the Finnish manufacturer will supposedly focus its attention towards other markets. Nokia will reportedly work on a Google Glass alternative that will be released in 2015. All in all, rumors can hardly be confirmed, and the situation with the Nokia Normandy or any other Andorid-powered Nokia smartphone seems fuzzy. 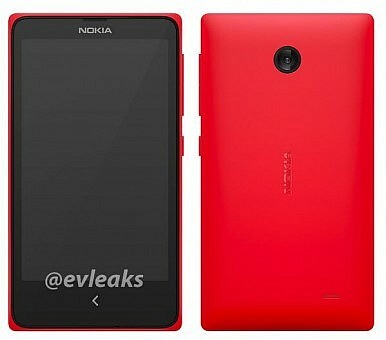 (C Tech also mentioned an Android tablet being, at one point, in the works in Nokia’s labs.) There’s no telling whether Nokia will continue to work on the Normandy (if it actually ever did so in the first place), and Microsoft’s acquisition of Nokia is making things even more confusing. We appear to be at a crossroads, and we’ll either continue to hear interesting rumors about Nokia’s plans on the Android front, or the Normandy will be forgotten. Until things get sorted out, feel free to share your feelings below. Would you be interested in a low-end Android-powered Nokia Asha smartphone? Xbox One (ex 720) Unveiled, Release Date Still a MysteryGreen Shoots Sighted for Asia’s EconomiesAn Oil Discovery Before Systemic Reform in Pakistan Would Be a TragedyIn Myanmar, Jittery Investors Threaten Long-Term DevelopmentAsia’s Elections: Market Moving or More of the Same?